The Best Bonsai blogs from thousands of top Bonsai blogs in our index using search and social metrics. Data will be refreshed once a week. Also check out Top Bonsai Youtube Channels list for Top videos on Bonsai. About Blog The blog provides you deep information about right from bonsai fertilizers to bonsai wire to bonsai tools and much more. Find useful knowledge on how exactly the process works. Facebook fans 11,795. Twitter followers 807. Great Yarmouth, UK About Blog Kaizen Bonsai are specialist suppliers of Bonsai trees, tools, pots, soil and gifts accompanied by a huge archive of videos and information on Bonsai care. At Kaizen Bonsai you’ll find everything you need to cultivate and care for your bonsai - whether you’re a beginner or a bonsai expert looking for the very best. Facebook fans 2,147. Twitter followers 648. About Blog BonsaiJack offers a line of American made bonsai products including Aggregates, Bonsai Cut Paste, Bonsai Lime Sulfur, and 30 other line items. Read the blog to get useful information about the art. Facebook fans 10,251. Twitter followers n/a. About Blog Walter Pall's main blog about bonsai and his work with trees from day to day. Find lots of good pictures of good trees and lots of valuable information about bonsai. Facebook fans 17,488. Twitter followers n/a. About Blog Get to know about fine quality bonsai and pre-bonsai trees. Also find collection of field-grown native North American trees. About Blog Bonsai Beginnings is a family operated, licensed Georgia State nursery that specializes in growing trees for bonsai. We provide an excellent place to learn more about bonsai and to share with others the joys and experiences that come with the practice of this remarkable art form. .
Facebook fans 304. Twitter followers 4. About Blog Bonsai Tree was started in 2011 by Terry Erasmus out of his love for bonsai. Tree Talk's focus is educating readers on the art of bonsai through sharing product tips and other information regarding bonsai cultivation techniques. Facebook fans 4,071. Twitter followers n/a. Northern California About Blog Bonsai Tonight is the website and blog of bonsai professional Jonas Dupuich. Read posts about bonsai care, development, styling and display. Facebook fans 1,689. Twitter followers 252.
orlando, fl About Blog A blog by Adam Lavigne, a Bonsai artist giving demonstrations and displaying workshops conducted. Facebook fans 854. Twitter followers 265. About Blog This site is devoted to the art of bonsai. Through pictures and written material the author hopes to spread the appreciation of this art form. Manchester About Blog Tony has been working with bonsai since 1983, he specialises in native European trees, in particular; Hawthorn, Yew and Pine. Facebook fans 3,397. Twitter followers 967. Osaka, Japan About Blog The global source for quality bonsai art, education, and services. Read about bonsai related news, events, online courses and other various updates from our blog. Facebook fans 11,293. Twitter followers 473. About Blog The aim is to promote Australian bonsai both locally and around the globe, improve the knowledge base and skills of Australian bonsaists and the quality of our bonsai and become the hub of Australian bonsai where anything anyone wants to know about our art can be found. Facebook fans 20,275. Twitter followers 165. About Blog Michael Hagedorn apprenticed under Shinji Suzuki of Japan from 2003-2006, and has since crafted a life around bonsai. He writes articles about bonsai in his blog. About Blog All about growing bonsai trees. Articles for beginners as well as discussions of some of the beautiful trees grown by the best bonsai artists. Facebook fans 45. Twitter followers 206. Sheffield About Blog Here at All Things Bonsai, you will find all the information about bonsai and bonsai related world. Facebook fans 1,609. Twitter followers 52. About Blog Explore the blog to get insights of the bonsai world. About Blog The blog features real bonsai addict adventures. Read the blog to inspire yourself. 19. Ry2Tree2 Bonsai Blog | A Dan Robinson apprentice's log, lessons, and journey. About Blog Explore the blog to learn about bonsai and enjoy great tree articles shared by the author. Facebook fans 129. Twitter followers n/a. About Blog The site was set up to provide guidance also in the earlier stages of the bonsai hobby, a framework for people who are getting interested in bonsai and would like to know how to get started, and what to do. The end result will hopefully become a useful resource for the novice to the experienced bonsai artist. About Blog Julian Tsai is a Southern California resident currently attending University of California, Riverside. In the blog he shares his passion for bonsai art. 22. The National Bonsai & Penjing Museum. Washington, DC About Blog The National Bonsai Foundation is a section 501(c)3 nonprofit organization established in 1982 to sustain the National Bonsai & Penjing Museum. It cooperates with the U. S. National Arboretum. This private/public collaboration between the Foundation and the Arboretum enables the Museum to promote the art of bonsai and penjing to visitors through masterpiece displays and educational programs. Facebook fans 5,535. Twitter followers 123. About Blog In 1977 a group of Bonsai enthusiasts, led by Ken Moncrief and Frank Maddocks, decided to meet to share their enjoyment of Bonsai. Trees from Swindon Bonsai Society have also been exhibited at the Chelsea Flower Show, Gardeners World Live and other major RHS shows. The aim is to promote the hobby of Bonsai growing in every way. About Blog A blog by Hoe Chuah devoted to bonsai and anything related to it. Alabama About Blog Brian is a member of the Living Arts Bonsai Society, American Bonsai Society, an informal bonsai study group, and a frequent contributor to the Bonsai Nut forum. In his blog he shares the stories of his backyard. Facebook fans n/a. Twitter followers 77. About Blog Read through the blog as the author shares his experiences of working with bonsai art. About Blog Find Information on Bonsai Basics, Bonsai Tree, Bonsai Vendors, Bonsai Mountains Society and more. About Blog Bonsai blog of Ray Coulombe. About Blog The Toronto Bonsai Society, formed in 1964 and one of the largest outside Japan, is devoted to the learning, practice and teaching of the horticultural techniques and artistic principles of the ancient art of bonsai. About Blog Bonsai Trees For Sale South Florida Bonsai Trees, Supplies, and Instructional Information from Best-Bonsai. By the best local artists in South Florida. Facebook fans 1,086. Twitter followers 261. Belfast Northern Ireland About Blog The Northern Ireland Bonsai Society was founded in 1986 by a small group of people interested in the wonderful art form of bonsai and realised the need for an organisation to promote and further it in this country. We are a society dedicated to spreading awareness and knowledge of these beautiful trees and bringing them to the attention of the General Public. Facebook fans 1,737. Twitter followers 446. About Blog Robert Nocher lives in a small village in the south west of Scotland, UK and has been into bonsai for 13 years. He started this blog to share his bonsai journey with other like minded individuals and to make new friends across the world. Facebook fans 754. Twitter followers n/a. About Blog Ben B has been interested in bonsai for approx 5 years. His main focus is developing bonsai trees from cuttings or raw garden material. About Blog Mai Bonsai.com is all about trees and the author's love of bonsai. Find trees of various species, and those at different stages of development, in order to expand your understanding of how and when to apply various techniques to the trees to achieve the desired results. About Blog Baikoen Bonsai Kenkyukai or better known as just Baiko-en, is a Los Angeles Based Educational Non-Profit that promotes the art of bonsai through education. About Blog The Newstead Bonsai Centre is the home of The John Hanby Bonsai School. The Newstead Bonsai Centre is one of the largest bonsai nurseries in the UK and is conveniently located near Wakefield, West Yorkshire. The Bonsai school aims to teach students about the proper care required to grow, develop and refine their bonsai throughout the year. About Blog Lectures, workshops, and demos are available for bonsai clubs, commercial bonsai dealers or others that may have interest in bonsai, and wants to know more. Facebook fans 4,533. Twitter followers 65. About Blog Maros Belan is a naturalistic bonsai design enthusiast. Read his personal blog about bonsai trees and collecting yamadori trees from the wild woods. Facebook fans n/a. Twitter followers 406. About Blog The Central Florida Bonsai Club is an organization started by individuals with a passion and a curiosity for Bonsai. The main purpose is to provide training, inspiration and examples on how to develop bonsai and to care for their well being. Facebook fans 1,347. Twitter followers n/a. About Blog A blog about how to start with making a bonsai and taking care of it. About Blog The Marin Bonsai Club is dedicated to promoting, teaching, and enjoying the living ancient art of bonsai. Connecting to a broad spectrum of bonsai enthusiasts, from hobbyists to professionals, is one of the most immediate and lasting benefits of belonging to a club like Marin Bonsai. Wales About Blog Blog for Welsh Bonsai and all things Bonsai related. Facebook fans 259. Twitter followers 623. About Blog Jeremiah Yenling Lee is an amateur bonsai enthusiast living in San Luis Obispo County, CA. This site is dedicated to the art of bonsai. About Blog A blog on Bonsai by Holly. About Blog East Van Bonsai began in April of 2016(Originally named New East Vancouver Bonsai Society). Their objective is to share information and resources on bonsai. About Blog Explore the blog to discover the art of bonsai. Deland fl About Blog Schley's Bonsai and Supplies is located in Deland, Florida and is owned by Jason Schley. Find a wide bonsai collection shared by Jason. Facebook fans 2,279. Twitter followers 163. About Blog Mark is a bonsai enthusiast living near Cork, Ireland. In the blog he share images of his trees and garden and records their progression over the years. About Blog Sally's Bridge Bonsai blog displays articles and videos providing useful knowledge about bonsai. Facebook fans 5,130. Twitter followers 467. About Blog Piotr Wiecek has been bonsai fan since 2011. He is a member of Norther Ireland Bonsai Society and Ireland Bonsai Group. In this blog he shares his workshops and progression on his materials. Facebook fans 39. Twitter followers n/a. About Blog Anthony Fajarillo shares bonsai photos from his collection. Get to know about the most enjoyable aspects of bonsai - that is the creation of it. About Blog A site devoted to Ficus bonsai. Read to stay updated on what is going on with Ficus. About Blog Explore the adventures of a 20-year bonsai beginner. Read the blog to know more. About Blog A blog on bonsai art by bonsai instructor, Nik Rozman. Twickenham, London UK About Blog mikbonsai is a specialist bonsai tree supplier in the Southwest London area. The author helps you select the right bonsai tree and size for your particular need, or that of a loved one you are buying for. He also provides you whatever support and help you need to ensure your purchase stays a healthy tree for years to come. Facebook fans 314. Twitter followers 1,309. About Blog The author shares some of his bonsai experiences and projects that will interest you. Read the blog to know more. About Blog Browse through the blog to learn about bonsai demonstrations, bonsai pots and tree styling. About Blog The RBS club was formed in 2006. The primary goal of the club is to provide support for local bonsai enthusiasts of all levels. The Society aims to advance member's skills and better publicize the art in the local region. RBS brings together enthusiasts and practitioners of bonsai to share, enjoy, learn and celebrate the ancient art of bonsai. About Blog Find useful insights about the bonsai art. Read the blog to know more. About Blog The Bonsai Society of Victoria (BSV) is a not for profit organisation focused on creating interest in and enjoyment of bonsai by both beginners and advanced growers. The Society fosters appreciation of the art of bonsai through participation in Shows and informing similar societies about BSV activities. About Blog Bishopsford is the biggest Bonsai nursery in Cape Town southern suburbs, Western Cape. Find large selection of bonsai and related products. Facebook fans 914. Twitter followers n/a. About Blog A Bonsai blog interspersed with random musings of love and life. About Blog The Akron Canton Bonsai Society was created to understand, enjoy, learn and share ideas about the art of Bonsai. About Blog Random thoughts, musings and grumblings mostly linked to two plus decades growing bonsai in the Central Ohio area. About Blog A blog sharing useful and interesting information about bonsai art. About Blog Vale of Clwyd Bonsai are a group of enthusiasts who meet to work on all things Bonsai related. About Blog This blog will show the development of some of the raw-material-yamadoris. About Blog A down to earth practical blog about the author's ups and downs creating stoneware bonsai pots. Facebook fans 731. Twitter followers n/a. About Blog Santa Anita Bonsai Society is a community dedicated to the study and appreciation of the ancient art of Bonsai. About Blog The Knoxville Bonsai Society was founded in 2001 by a handful of local bonsai enthusiasts from the East Tennessee area. The KBS meets once per month. At each meeting, a new topic related to bonsai art, culture, and design is presented and discussed. These discussions are highly informative for both beginners and experienced enthusiasts alike. Facebook fans 3,017. Twitter followers n/a. About Blog Find useful information about the bonsai art form. About Blog Explore the blog to find useful information about suitable species for bonsai. About Blog A blog where you will find interesting stuff about bonsai.Learn the secrets of Bonsai gardening and become a master. Facebook fans 180. Twitter followers n/a. About Blog Get to know the minute details of creating a bonsai. Read the blog to find interesting information. About Blog The aim is to simplify the art of bonsai through informative and educative means. About Blog A blog about a bonsai novice and his development in the art of bonsai and pottery. About Blog Read the blog to stay updated with Wessex Bonsai news, including testimonials, blog posts, event details, and committee information. About - Kaizen Bonsai are specialist suppliers of Bonsai trees, tools, pots, soil and gifts accompanied by a huge archive of videos and information on Bonsai care. At Kaizen Bonsai you’ll find everything you need to cultivate and care for your bonsai - whether you’re a beginner or a bonsai expert looking for the very best. About - Welcome to the Newstead Bonsai Centre, home of The John Hanby Bonsai School. The Newstead Bonsai Centre is one of the largest bonsai nurseries in the UK. We always have a good selection of established indoor and outdoor bonsai from small starter material to older more refined specimen trees. For those wishing to create their own bonsai you will also find a varied selection of deciduous and evergreen specially selected field grown raw material. About - Tony has been working with bonsai since 1983, he specialises in native European trees, in particular; Hawthorn, Yew and Pine. About - We are Sheffield's only large scale bonsai centre selling a range of indoor & outdoor bonsai trees, pots, tools, wire, books, fertiliser and accessories. Here at All Things Bonsai, you will find all the information about bonsai and bonsai related world. 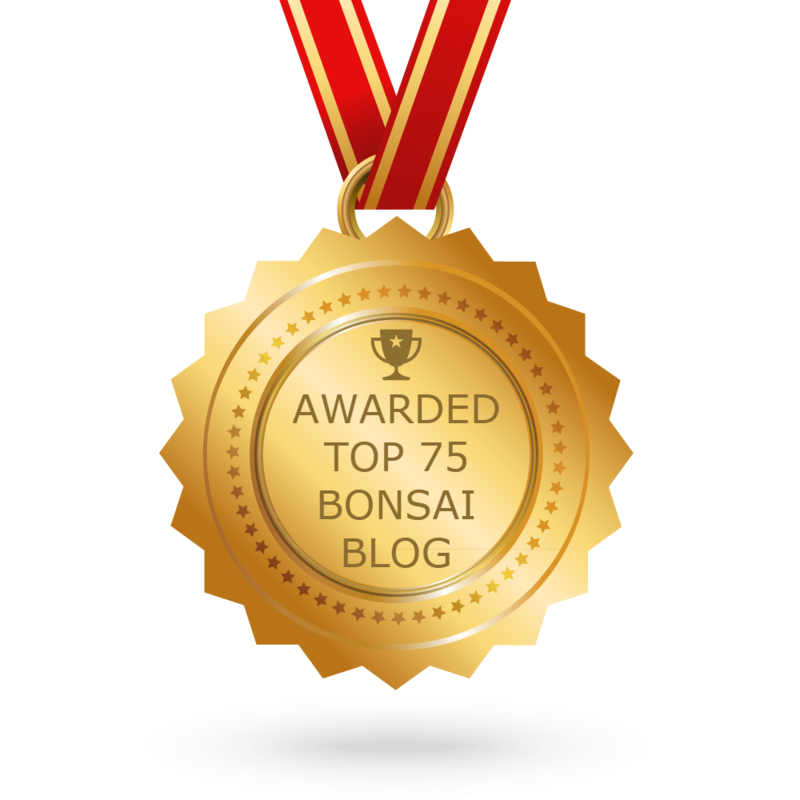 CONGRATULATIONS to every blogger that has made this Top Bonsai Blogs list! This is the most comprehensive list of best Bonsai blogs on the internet and I’m honoured to have you as part of this! I personally give you a high-five and want to thank you for your contribution to this world.